Rain was pounding on our bus windows as our travel group left Langhe Hills, Piemonte (see part one of this post) and moved towards the sea, the Italian Riviera in Liguria. It had been so cold when I woke up in the morning. I had to put more layers of clothing in cotton and linen because I didn't pack anything in wool. It should be warm and summery but instead, winter has returned. Ezio, the owner of the B & B we stayed in showed us the morning paper with a picture of a cyclist amidst a heavy snowfall in Bolzano at the Dolomites. We were headed towards the first stop in our itinerary. Savona. Upon entry to the city, and standing on a promontory, the Fortress of Priamar greeted us. Gargantuan, magnificent and beautiful. It took my breath away. It was built in 1542 by the Republic of Genova, then an independent state. 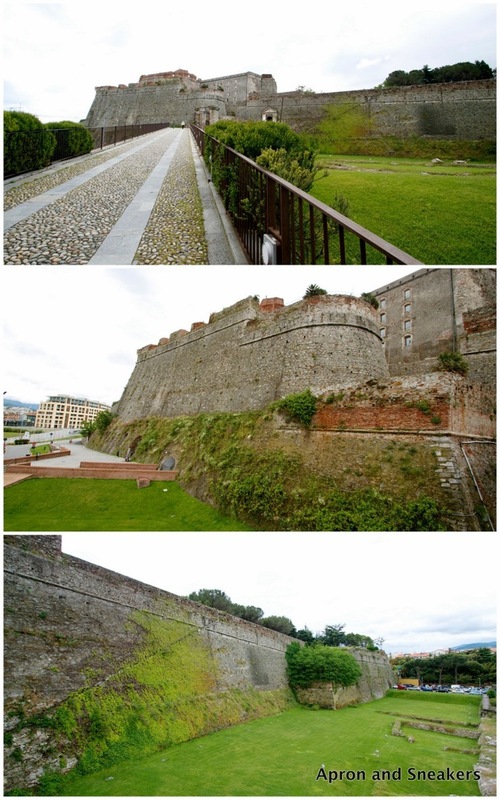 This big fortress also became a military prison from 1820 until 1903. A tour of the whole fortress would have been interesting but the weather was too much against it. It was too windy and the cold was unbearable. Inside the fortress and in the warmth of one of the internal rooms, we met with the Ligurian Tourism Board and we started to get to know the region and some of its important products. Let's start with the chinotto of Savona. Translated to bitter oranges or myrtle-leaved orange, this evergreen citrus tree was imported to Savona from China at the turn of 1500 by an explorer from Savona. 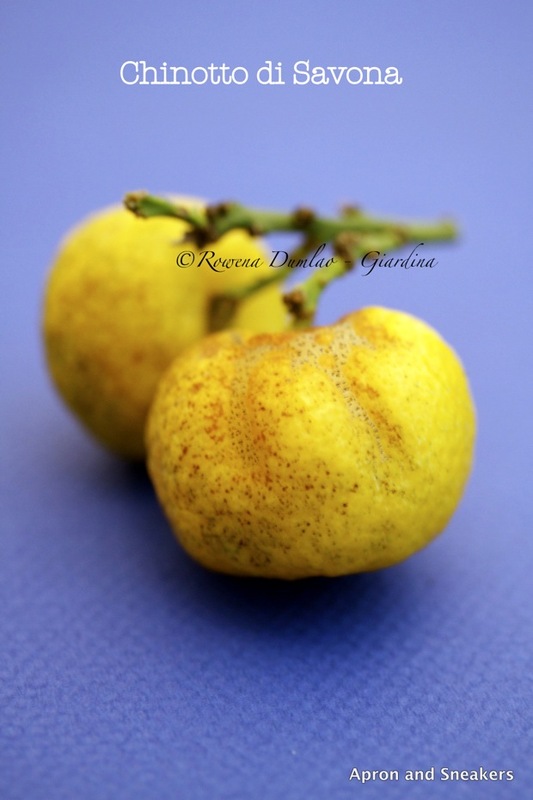 It was considered precious for its medicinal powers being rich in Vitamin C. It thrived in the Ligurian coast because it found a favorable microclimate from Varazze until Finale Liguria. The fruit itself cannot be eaten raw as it has a bitter taste. 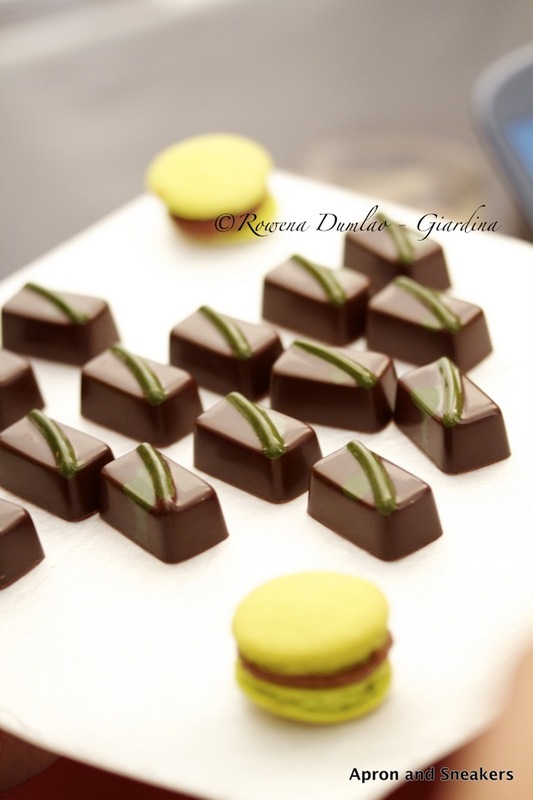 It has to undergo a traditional production process before deemed pleasant for consumption. 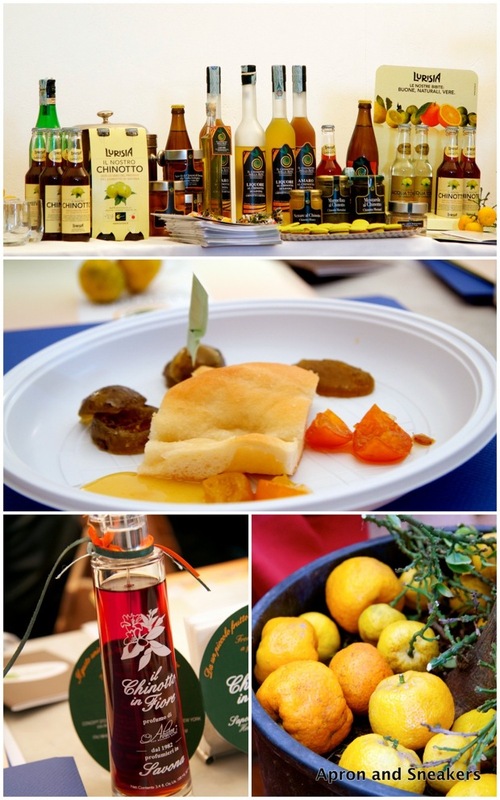 There's a multitude of products made with the chinotto of Savona and they are the following: liqueurs, candied chinotto, soaps, jams, marmalades, perfumes, chutneys, fruit mustards, flavored salt, jellies, beer, honey, candles and soft drinks. 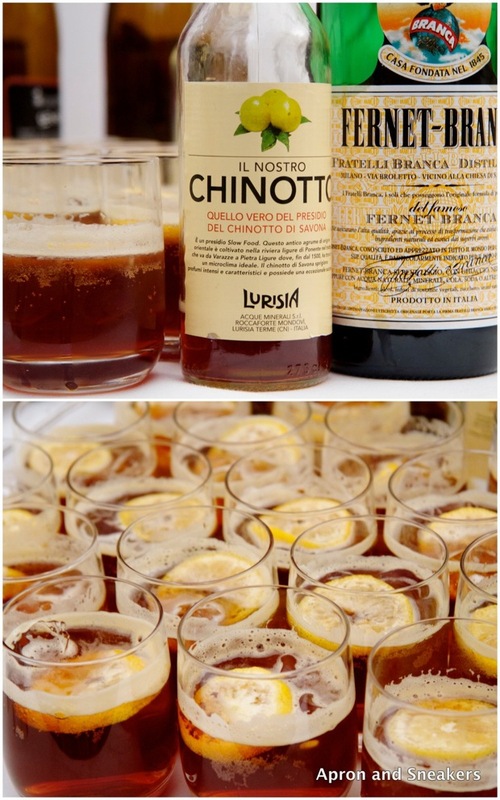 There are a number of chinotto drinks that are produced in Italy with different producers. However, only one company produces it using the chinotto of Savona which is Lurisia and it is one of the products that is under the wings of the Slow Food movement because of its very good quality. It has an amber color, fruity, intense and not so sweet. Words of my son: It's much better than Coke! As a Mom, that gives me a big assurance of relief because Chinotto is much healthier. 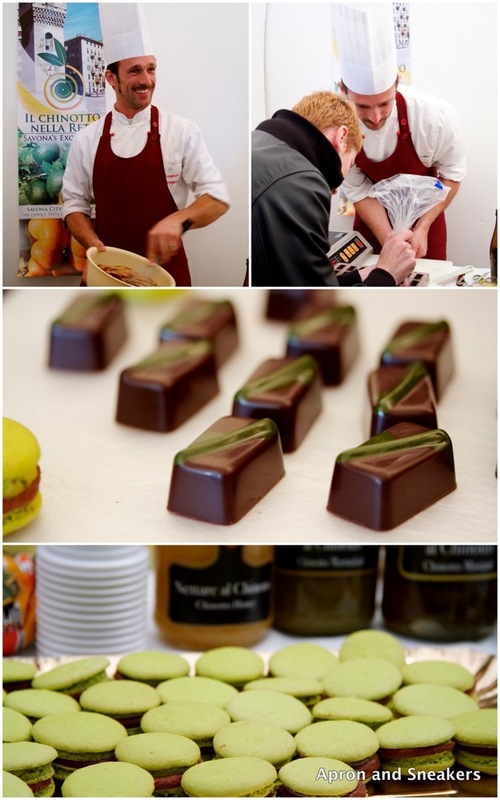 A patisserie chef demonstrating chocolate-making with chinotto. Not far from Savona is a seaside village of the Italian Riviera called Albisola, known for its 500-year old tradition of ceramic and majolica making. 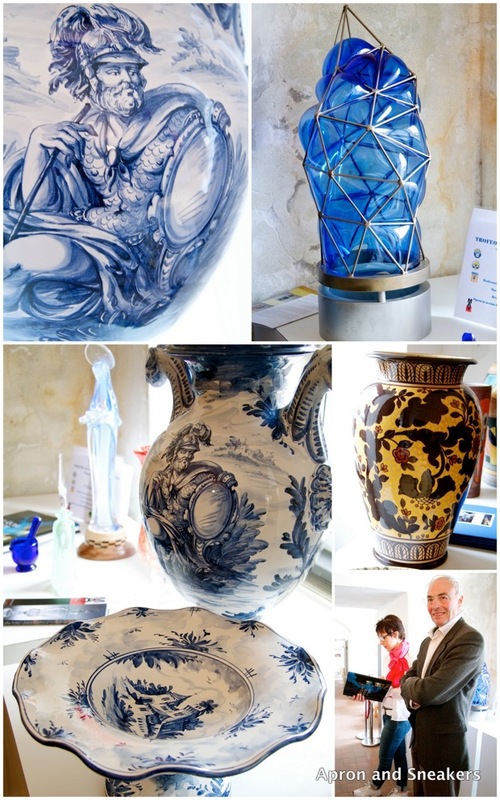 Albisola ceramics are notable for the traditional blue and white style (white base with blue paintings of angels or mythological figures) called Antico Savona. In this context, Giuseppe Bausin Mazzotti started his ceramic business in the town in 1903 Fabbrica Ceramiche Giuseppe Mazzotti 1903. Production still continues under the management of his grandson, Giuseppe Bepi Mazzotti. You will also find an abundance of other ceramic shops in the village. Fernet-Branca and Chinotto Lurisia mixed together in a refreshing cocktail. Another important production in the province of Savona is glass making in the small town of Altare. The town's glass activity has been going on for more than 800 years and when the furnaces came together to form one cooperative in 1856 called Società Artistico Vetraria (Artistic Glass Society) or SAV, the company gained prestige in its sector. At the town's Museo dell' Arte Vetraria Altarese, you will learn more about Altare's glass-making. Writing about Chinotto gave me a reason to open a cold bottle from the fridge and make myself a cocktail. I try to keep my cupboard stocked with Chinotto and Gazzosa, another Lurisia drink done with the sfusato lemons of Amalfi. I wanted to recreate the cocktail drink we were given at Savona, mixing Fernet-Branca with Chinotto but I didn't have any. I tried with Disaronno Amaretto instead. Its delicious almondy flavor blended so well with the Chinotto but the problem of sweetness bothered me. I added some slices of lemon that I crushed lightly, some fresh mint leaves and a lot of ice. It was gorgeous! It was a wonderful way to finalize this post, on a quiet Sunday afternoon outside with my cocktail. I hope you enjoyed this post. My third and last post about this trip will be coming up soon. It will be about the Fascinating Resorts comprised of 6 charming villas and the towns where they are located along the Italian Riviera in Liguria. 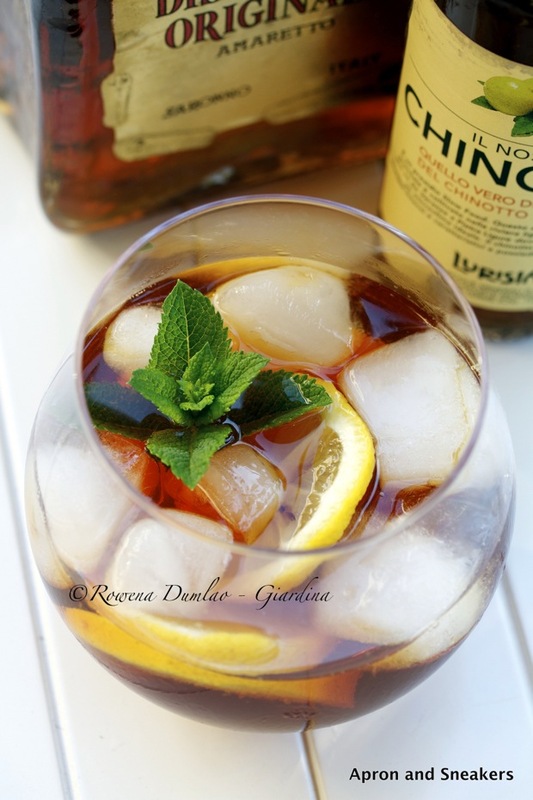 In a glass with a lot of ice and lemon slices that are slightly crushed, pour Chinotto Lurisia and Disaronno Amaretto. Add some mint leaves. Serve immediately.